For the past 2 weeks in my PreK class, we have been doing a favorite book bracket tournament. 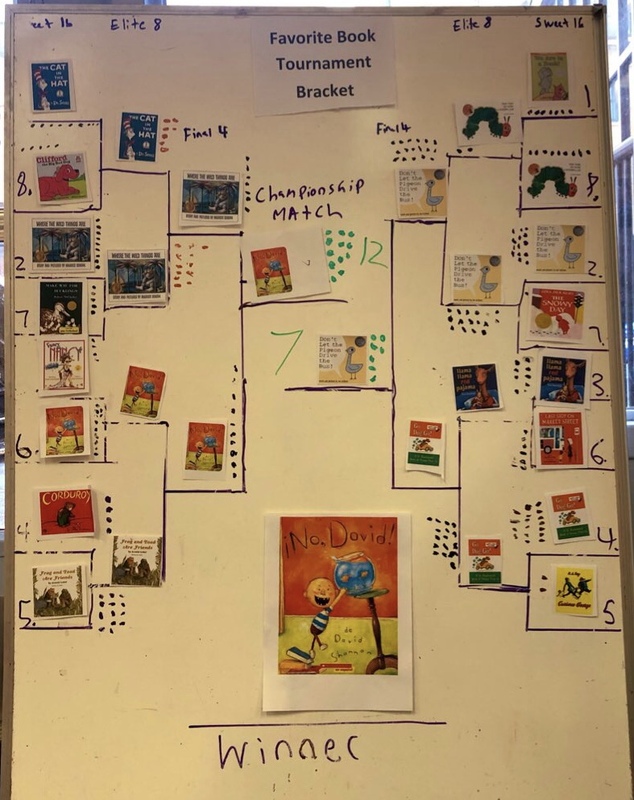 We started with 16 books and then had book battles where we would read the books and vote for our favorite in a NCAA March Madness style bracket. Today it finally came to a conclusion with “No David” by David Shannon being the winner by a 12-7 margin. See the whole tournament results below.